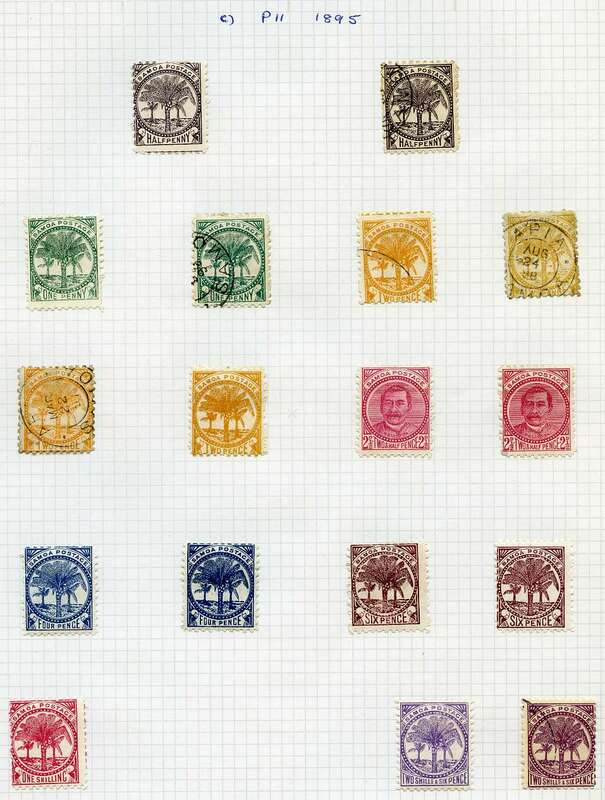 Comprehensive collection of mint and CTO stamps from 1903 to 1978 with numerous better and highly catalogued items on album leaves. Catalogue Value $1,131.00. 1907 Large Canoes No Wmk perf 11 set MLH. 2½d and 6d values with few blunt perfs. Sg 1-7. Catalogue Value $523.00. 1907 Large Canoes No Wmk perf 11 set MLH. 6d value has small fault at upper right. Sg 1-7. Catalogue Value $523.00. 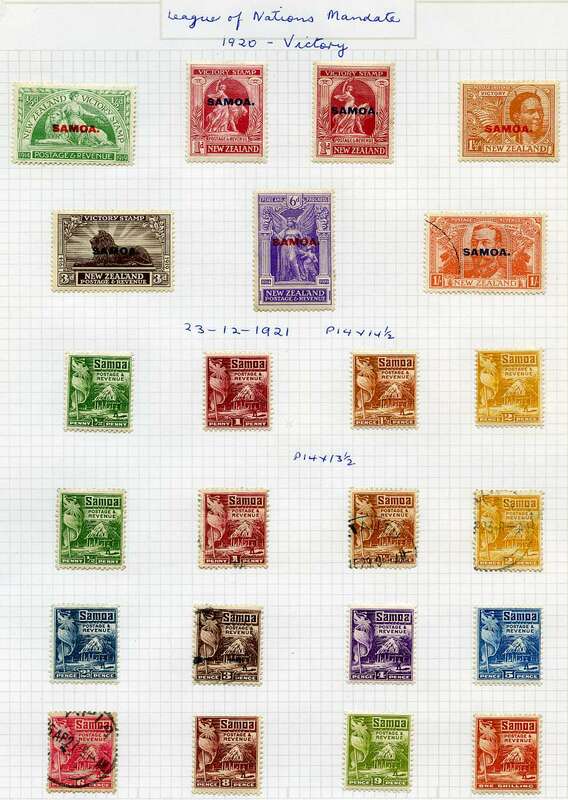 Collection of hundreds of mainly fine used stamps from 1908 to 1996 with a range of better items including 1908-11 Small Canoes set FU (4d MLH), 1914 10/- Green and Red on Green KGV FU, 1939-51 KGVI Definitive set both MLH and FU and 1956 QEII Definitive set FU. Odd fault and some duplication. Catalogue Value $2,240.00. 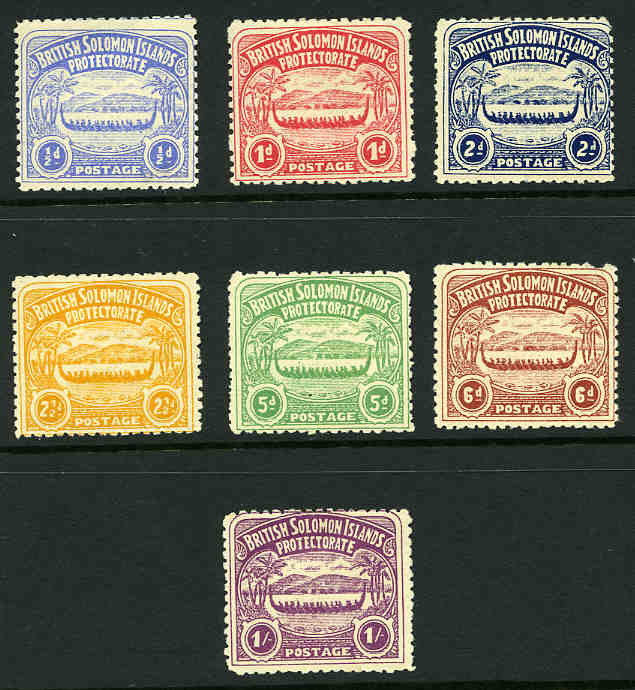 1908-11 Small Canoes set MLH, the 1d and 2/6 values with light gum toning. ½d and 5d values are FU. Sg 8-17. Catalogue Value $368.00. 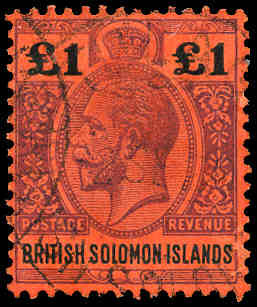 1914 £1 Purple and Black on Red KGV FU. Sg 38. Catalogue Value $253.00. 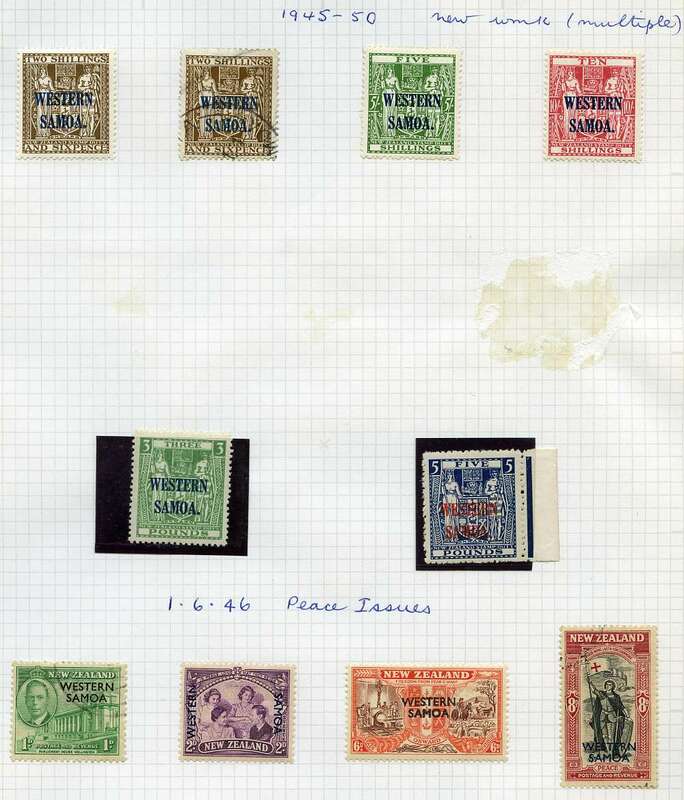 Comprehensive collection of MLH and fine used stamps from 1908 to 1979 including KGV issues to 10/- value with numerous better items in loose leaf album. Catalogue Value $2,093.00. 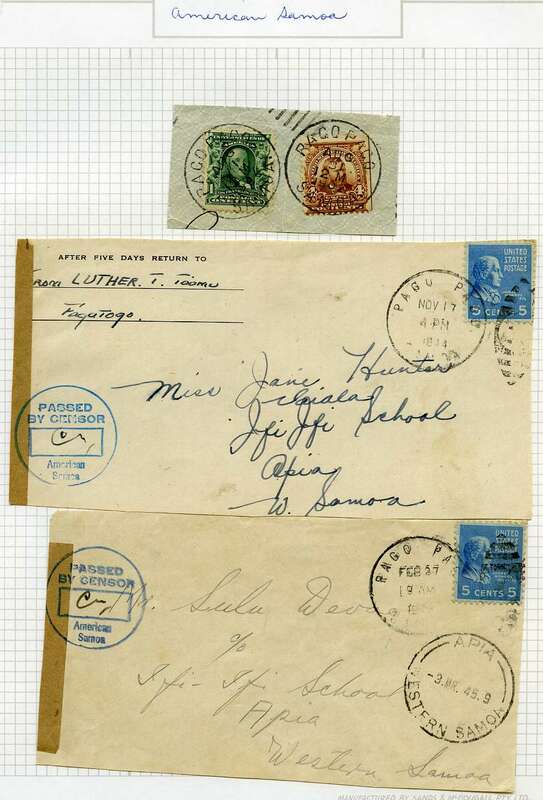 1892 10d Carmine Federation fine used with neat PO Raratonga CDS postmark. Sg 4. Catalogue Value $273.00. 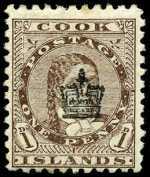 1901 1d Brown Queen Makea Takau with Crown overprint MLH. Very faint toning on one perf. Sg 22. Catalogue Value $376.00. 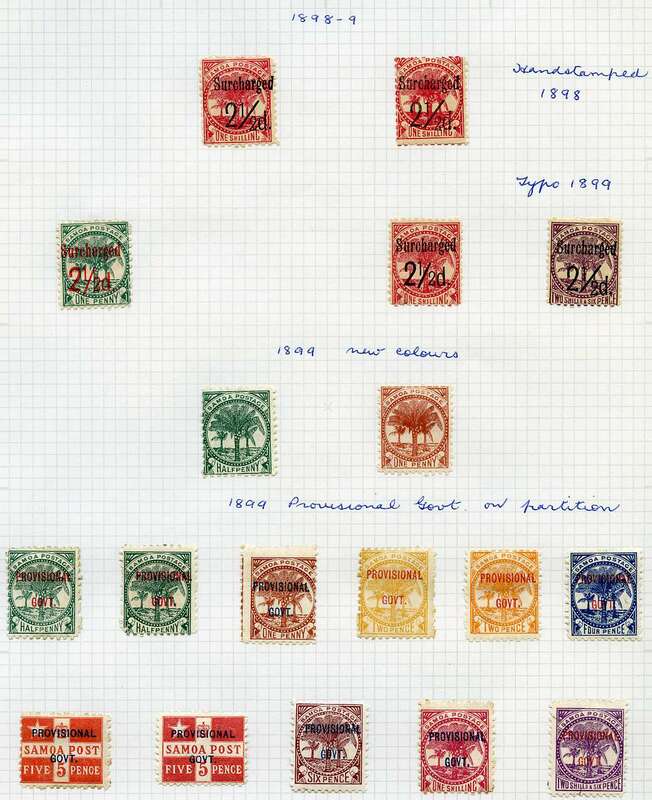 Collection of 270 mint and used stamps and 2 covers from 1902 to 1976 including some sets and duplication with range of Niue, Penrhyn Island and Tokelau Islands issues. 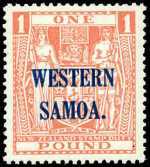 1926 2/-, 2/6, 5/- and 10/- "De La Rue" paper Queen Victoria Postal Fiscal O/P Rarotonga with single NZ Star Wmk MLH. 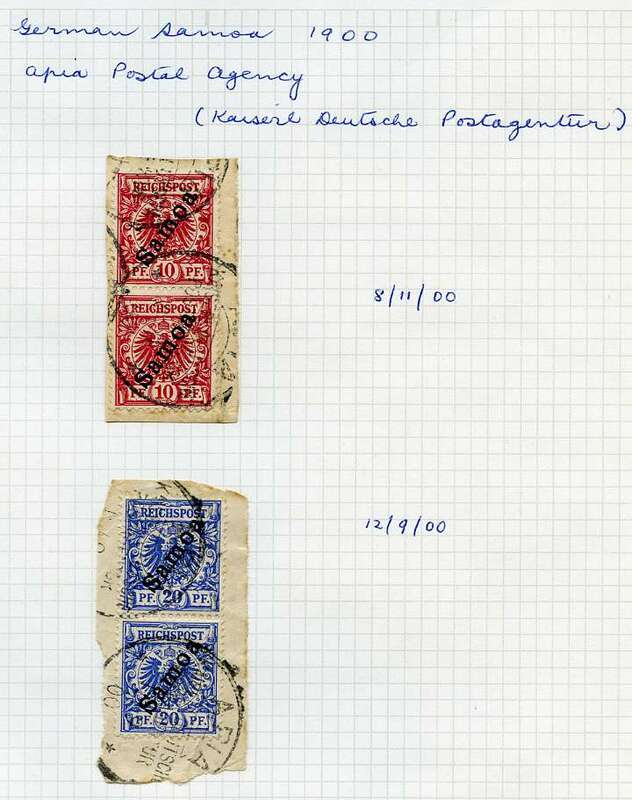 2/6 and 5/- with light tone spots. Sg 76-79. Catalogue Value $298.00. 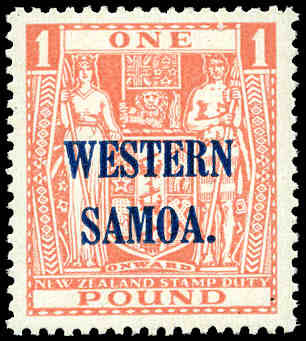 1931 2/6 (2), 5/-, 10/- and £1 "Cowan" paper Arms Postal Fiscal O/P Rarotonga with single NZ Star Wmk MLH. 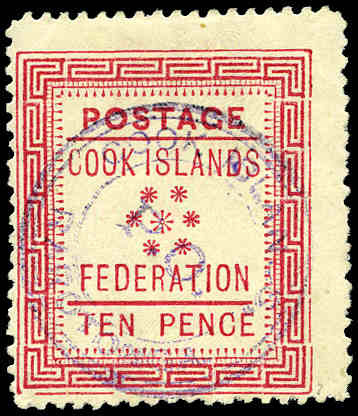 5/- and 10/- with light tone spots. Sg 95-98. Catalogue Value $350.00. 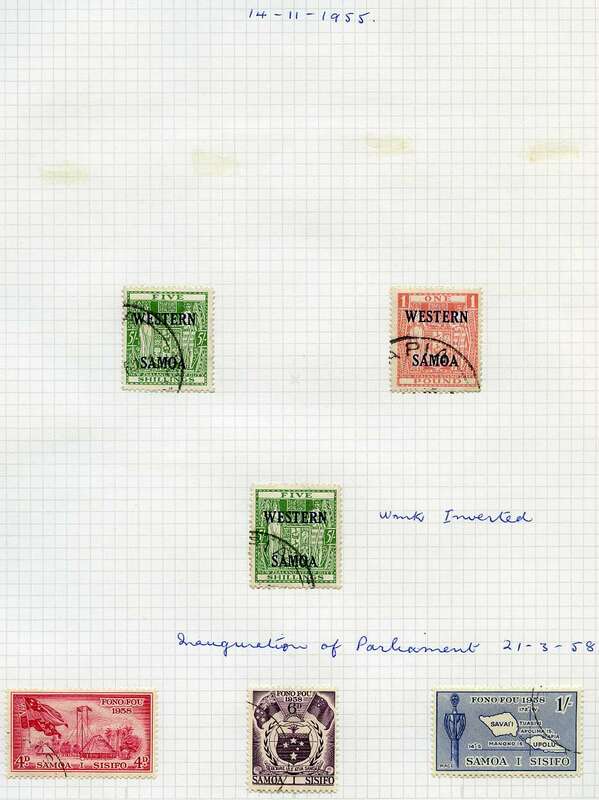 1932 No Wmk Definitive set of 7 VFU. Sg 99-105. Catalogue Value $294.00. 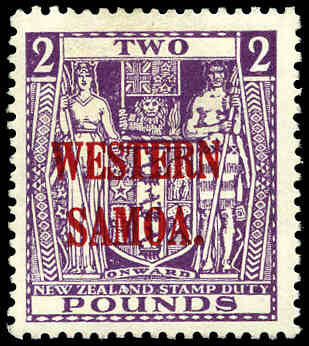 1943-48 2/6, 3/, 10/- and £1 Arms with "Inverted" Multiple Wmk MLH. Sg 131w-134w. Catalogue Value $355.00. 1967 Decimal Definitive surcharge set excluding 30¢ on 3/- value MUH. Sg 205-215 and 217-221. Catalogue Value $700.00. 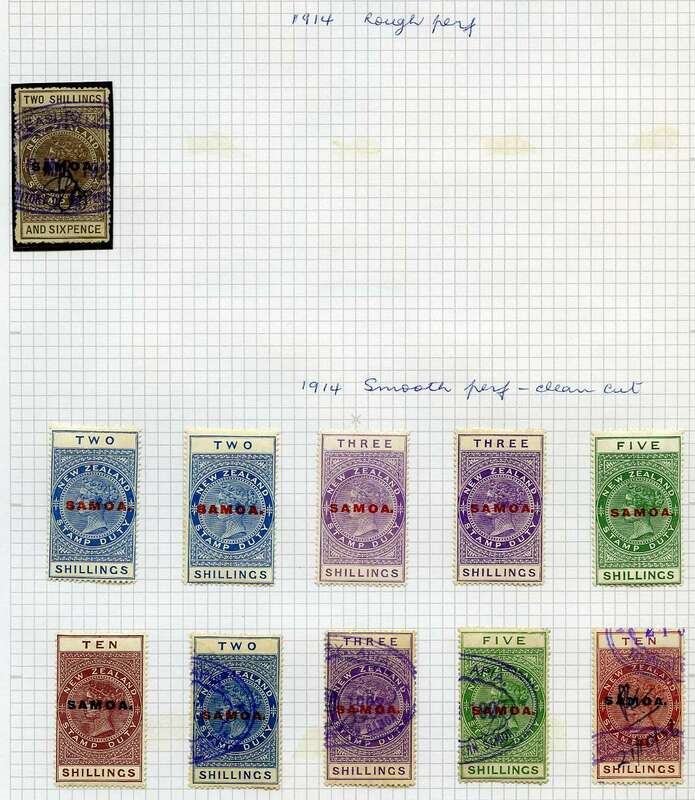 Comprehensive collection of mint and used stamps from 1892 to 1978 including a good range of early issues, Arms to £3 value and a range of watermark and shade variations with numerous better and highly catalogued items in loose leaf album. Odd fault, but generally in fine condition. Well worth inspecting. Catalogue Value $8,000.00. 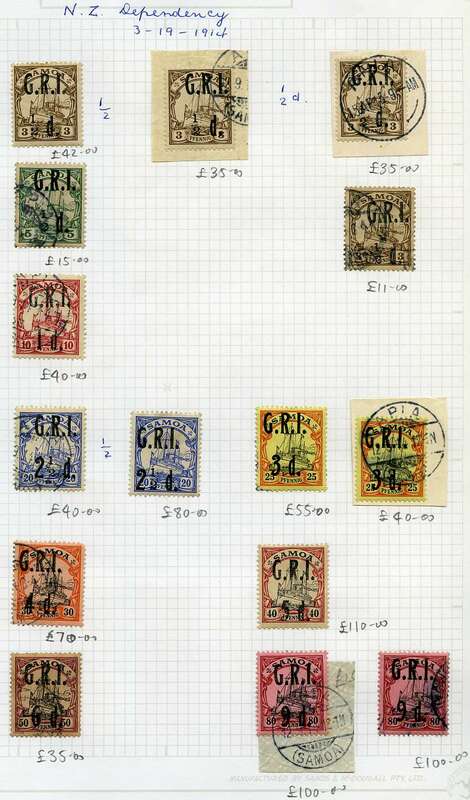 1938-1955 KGVI Definitive set of 22 including both dies of 1½d, 2d and 6d values MLH. 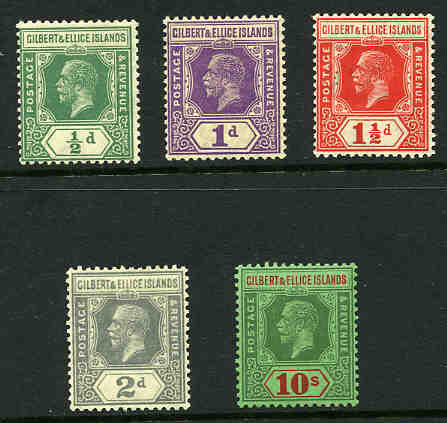 1½d Die 1, 2d Brown and Green Die I, 5d Blue and Scarlet, 6d Die II, 2/-, 2/6 and 5/- values with light tone spots and 6d Die I with gum toning. Sg 249-266b. Catalogue Value $523.00. 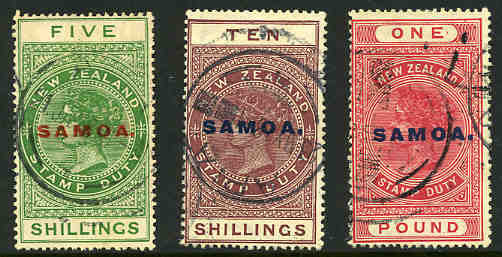 Also New Zealand range of mint and used stamps. 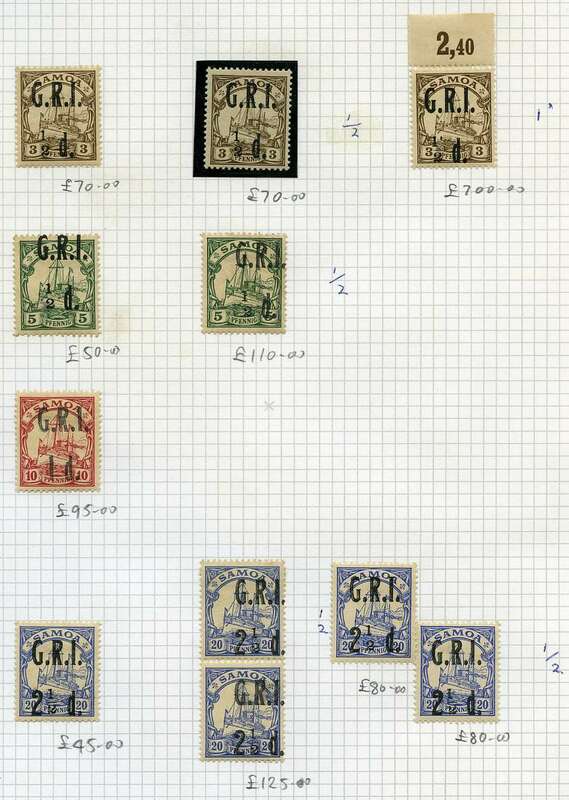 Collection of 290 MUH and MLH stamps from 1903 to 1969 including handy items with values to £1 and some sets in KEK stockbook. Some duplication and minor faults. Catalogue Value $1,190.00. 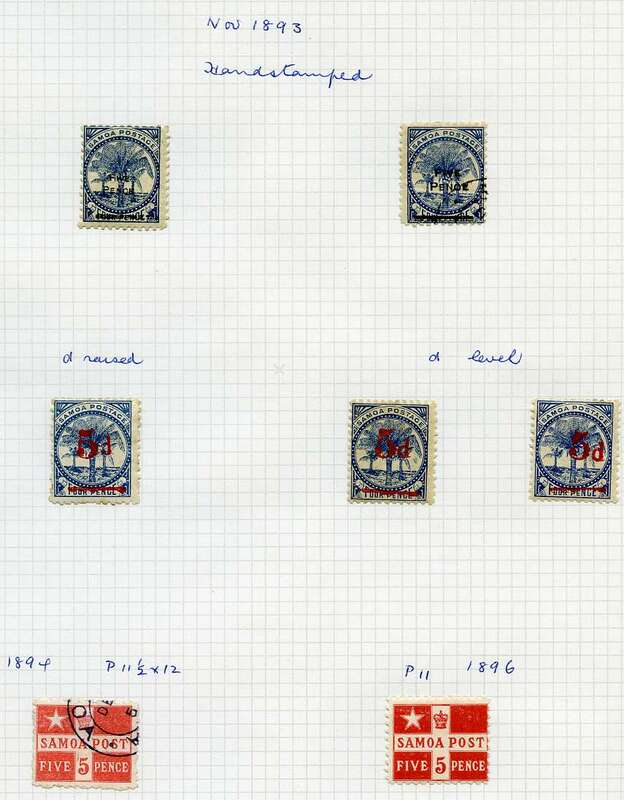 Accumulation of 150 mostly used stamps from Queen Victorian era to early QEII issues with varying duplication on Hagner sheets. 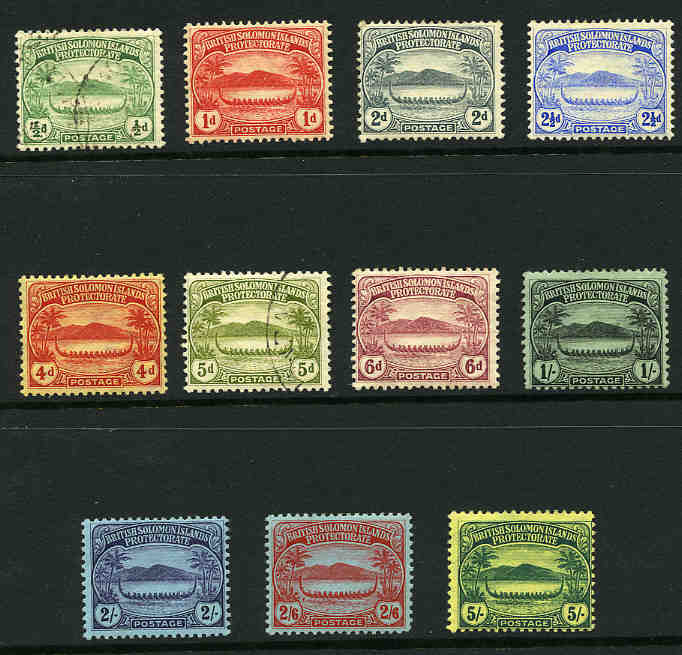 Noted 1912 5/- Green and Red on Yellow Multiple Crown CA Wmk KGV MLH. Odd fault. Catalogue Value $872.00. 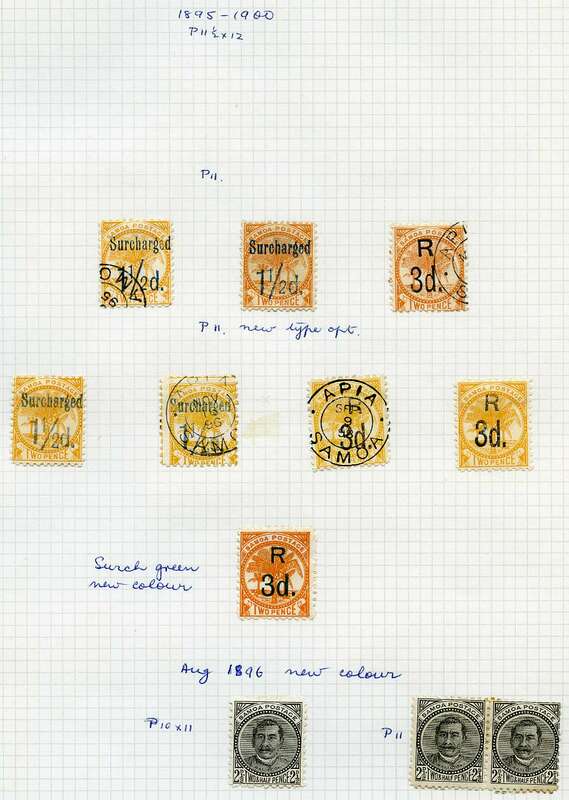 1911 KGV O/P set of 7 MLH, the 1d and 6d values with faults. Sg 1-7. Catalogue Value $315.00. 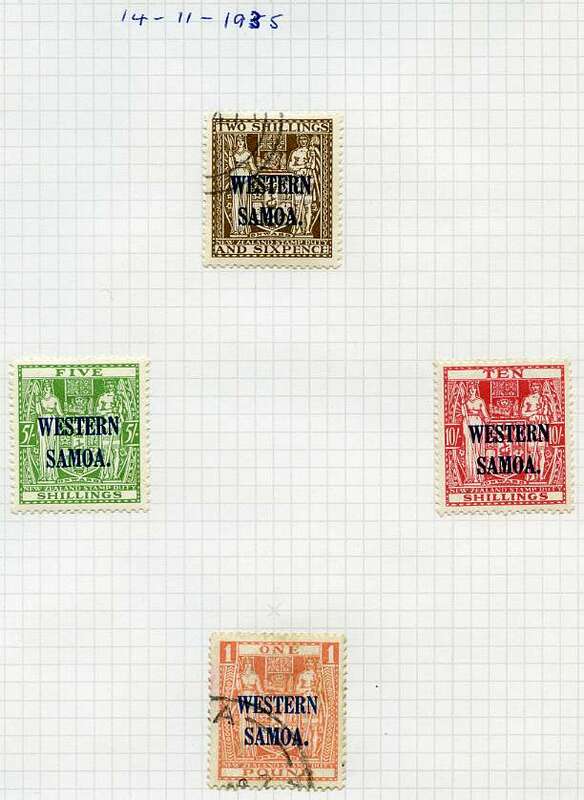 1922-27 Multiple Script CA Wmk KGV set of 5 MLH. Sg 27-35. Catalogue Value $315.00. 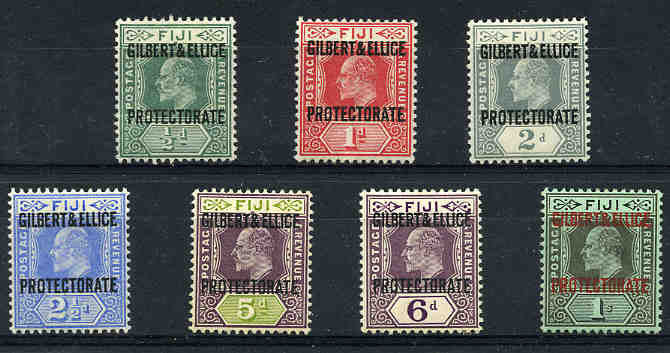 Comprehensive collection of MLH, CTO and FU stamps from 1911 - 1976 with many better sets, as well as some early New Zealand issues cancelled in the Gilbert and Ellice Islands. Odd fault, but generally in excellent condition. Catalogue Value $1,620.00. Collection of mainly fine used stamps from 1911 to 1983 including 1939-55 KGVI Definitive set both MLH and FU, 1935 Silver Jubilee set MLH, 1949 Royal Wedding set MLH, 1956-62 QEII Definitive set both MLH and FU, 1976 Definitive set FU and a range of Kiribati and Tuvalu issues. Few duplicates and odd minor fault. Catalogue Value $1,520.00. 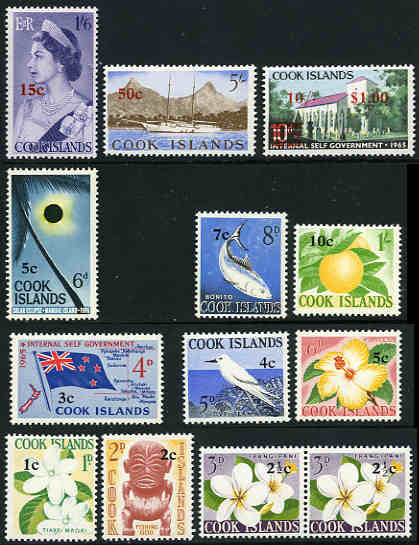 Complete collection from 1976 Separation set to 1979 Cook set and Tuvalu Complete collection from 1976 Separation set to 1979 Definitive set including some watermark variations mixed MLH and CTO. 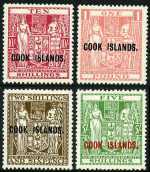 Also Tokelau Islands complete collection from 1948 Definitive set to 1978 Canoes set including 1911 2d Grey Gilbert & Ellice Islands KGV O/P issue cancelled with Violet General Post office Union Island cancellation and other extra items mixed MLH, CTO and FU. 1931 2/6 "Cowan" paper single NZ Star Wmk MLH, 1942-43 10/- and £1 "Wiggins Teape" paper with single NZ Star Wmk MUH, 1944-45 2/6, 5/-, 10/- and £1 "Wiggins Teape" paper with multiple NZ Star Wmk MUH and 1957-67 2/6 and 5/- "Wiggins Teape" paper with multiple NZ Star Wmk MUH Arms Postal Fiscal MLH. Sg 51, 81-88. Catalogue Value $930.00. Largely complete MUH collection from 1940-51 KGVI Definitive set to 1997 Christian's Cave set excluding 1946 Victory set and 1948 Royal Wedding set only in 2 stockbooks. 1940-51 KGVI Definitive set, 1957-63 QEII Definitive set and 1974 Shells M/S MLH. High retail value. 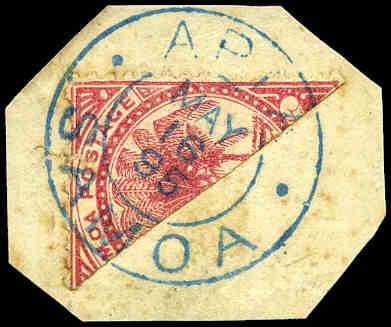 1886 1/- perf 11 Rose-Carmine bisected diagonally and tied to piece by Blue Apia, May 16, 1895 cancellation. Light tone. 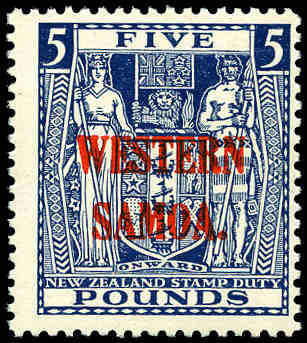 Catalogue Value on cover $685.00. 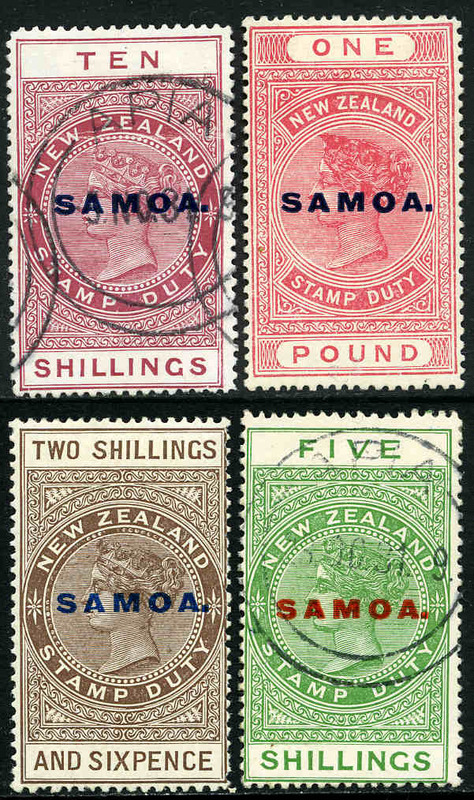 Extensive collection of mint and used stamps from 1890 to 1979 in loose leaf album including a small selection of German Samoa, a good range of G.R.I issues, perf, shade and watermark variations, Arms issues to £5 value and many better and highly catalogued items. 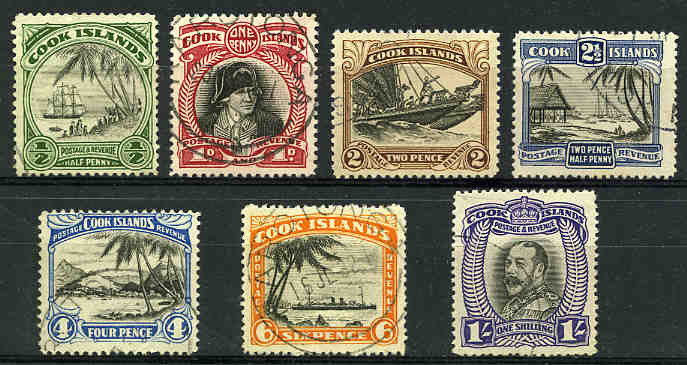 Numerous stamps and sets are featured both mint and FU. Odd fault, but generally fine condition. Well worth inspecting. Catalogue Value $11,300.00. 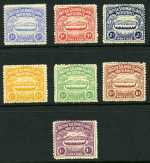 1914-17 Rough perf 14 Queen Victoria Postal Fiscal set of 5 on De La Rue paper MLH. The 2/- value is FU. Sg 122-126. Catalogue Value $470.00. 1917-24 5/-, 10/- and £1 smooth perf 14½ x 14 Queen Victoria Postal Fiscal issues on De La Rue paper O/P Samoa FU. 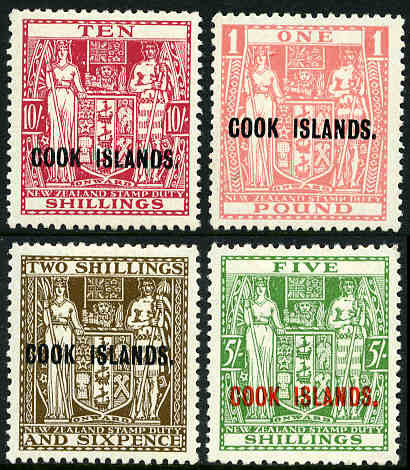 £1 value has light ink stains on reverse. Sg 130-132. Catalogue Value $273.00. 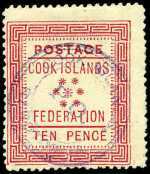 1925-28 2/6, 5/-, 10/- and £1 Queen Victoria Postal Fiscal issues on Cowan paper O/P Samoa. 2/6 and £1 values are MLH, the others FU. Sg 166 and 166b-166d. Catalogue Value $656.00. 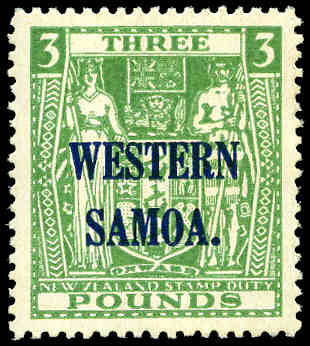 1935 2/6 and £5 "Cowan" paper Arms Postal Fiscal O/P Western Samoa with single NZ Star Wmk and 1945-53 5/- (MLH), 10/- and 30/- Arms Postal Fiscal O/P Western Samoa with multiple NZ Star Wmk MUH. 10/-, 30/ and £5 with slight faults. 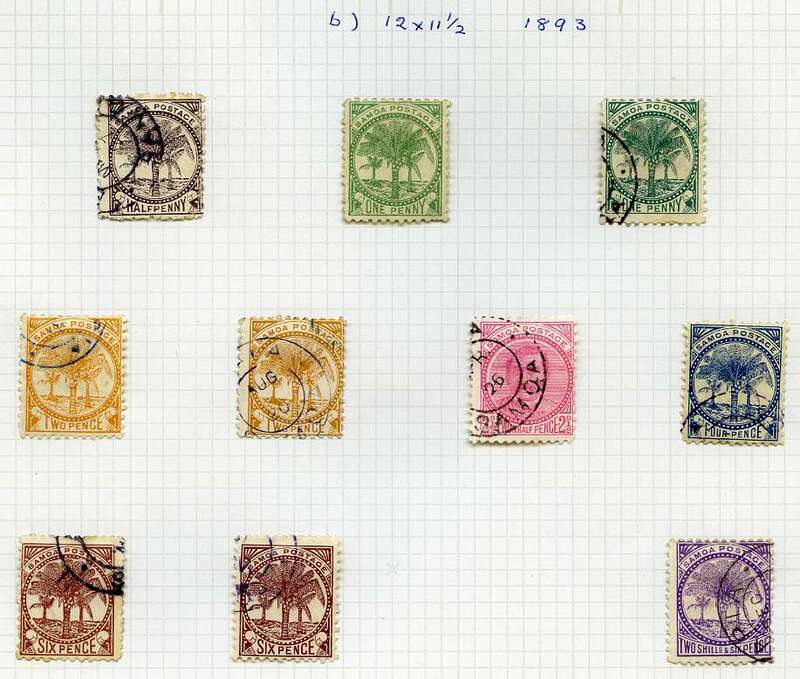 Sg 189, 194, 208, 209 and 211. Catalogue Value $940.00. 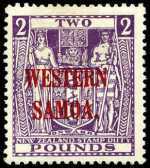 1935 £2 Bright Purple Arms on Cowan paper MLH. Sg 193. Catalogue Value $335.00. 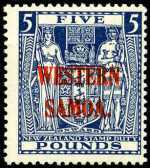 1935 £5 Indigo-Blue Arms on Cowan paper MLH and centered to right. Sg 194. Catalogue Value $473.00. 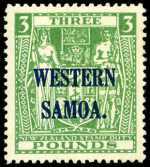 1948 £3 Green Arms Postal Fiscal with multiple NZ Star Wmk O/P Western Samoa MUH with slightest trace of gum toning. Sg 213. Catalogue Value $472.00. 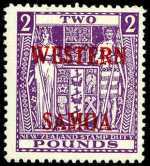 1948 £1 Pink Arms Postal Fiscal with multiple NZ Star Wmk O/P Western Samoa MUH. Sg 210. Catalogue Value $229.00. 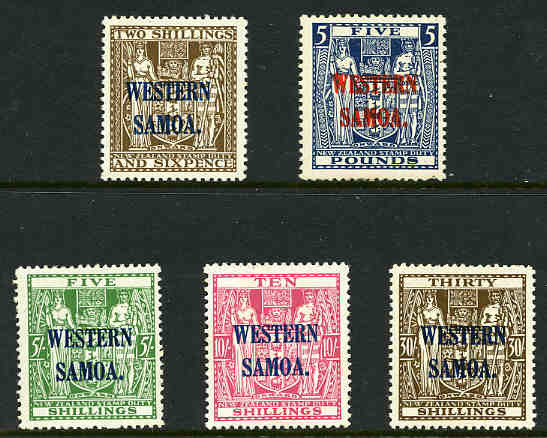 1955 Arms Postal Fiscal set with wide Western Samoa O/P MUH. Sg 232-235. Catalogue Value $231.00. 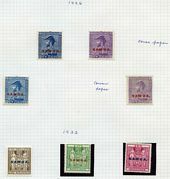 Collection of 127 MLH and fine used stamps from 1897 to 1968 including 1897 Definitive set excluding 1/- value MLH (1d FU), 1942-49 Definitive set MLH (5/- small thin) and 1953 Definitive set FU. Catalogue Value $1,000.00. 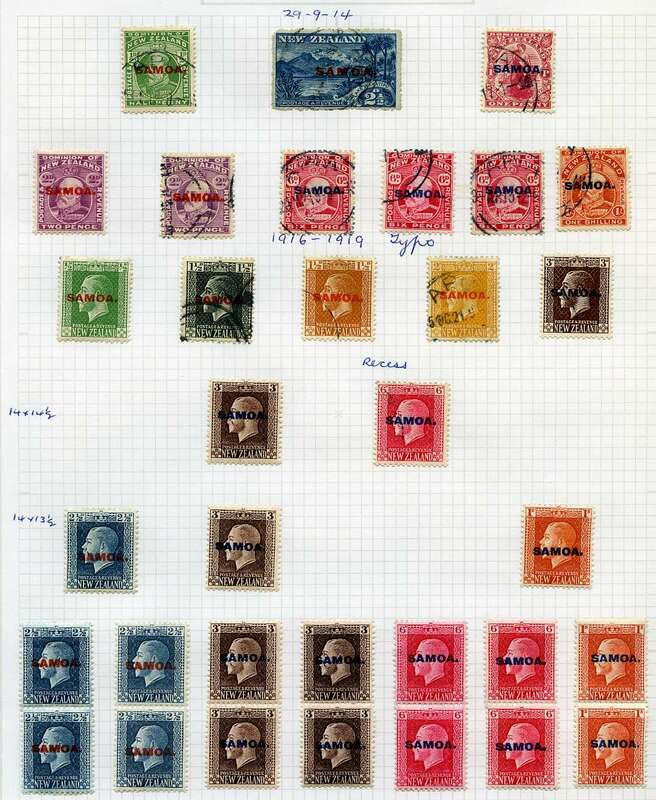 Accumulation of hundreds of MUH stamps from 1979 to 1984 with many duplicates in blocks and sheets. Odd fault. Face Value $467.00. Selection of 355 mostly mint mainly pre 1960's stamps from a range of countries with some varying duplication on Hagner sheets. Catalogue Value $985.00. Accumulation of approximately 800 Commemorative and Defintive higher value used stamps from 1960's to late 1990's. Good variety with some duplication. 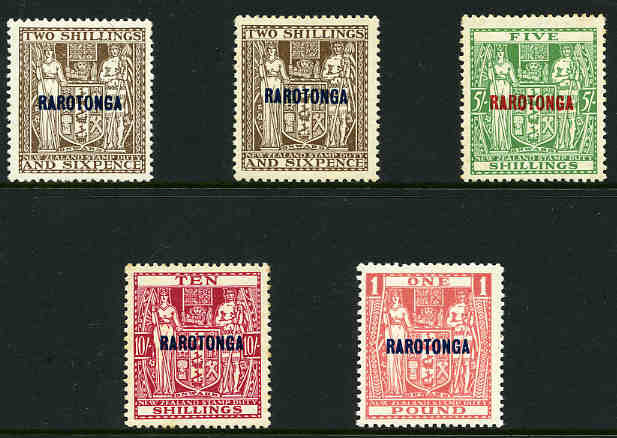 Largely complete MUH collections of Fiji from 1972 Definitive set to 1987 Christmas set, Pitcairn Islands from 1981 Scenic Views set to 1987 Christmas set, Samoa from 1970 Apia Hurricane set to 1987 Christmas set and Papua New Guinea from 1976 Ships set to 1987 Starfish set mainly on Seven Seas Hingeless album pages in 2 binders. Face Value $436.00. 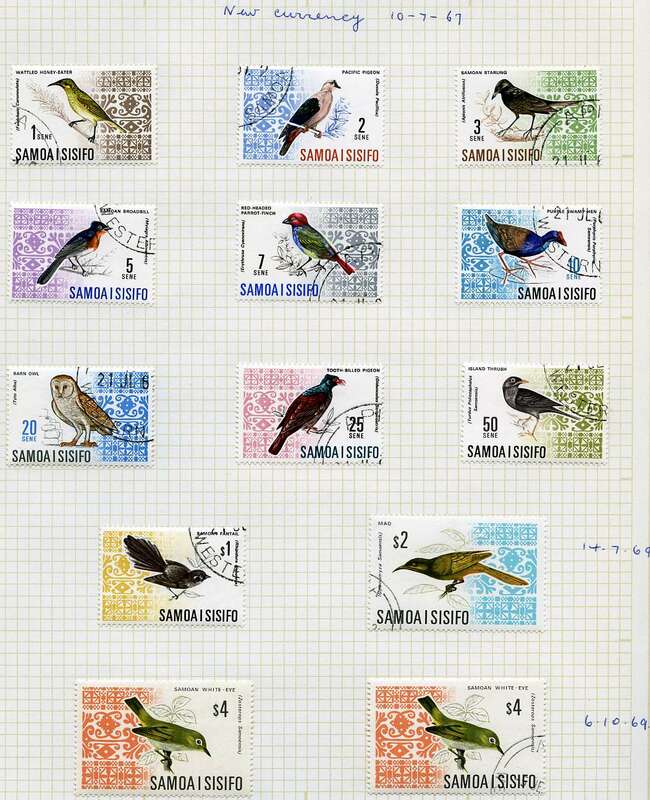 Aitutaki, Kiribati, Niue, Penrhyn Island, Samoa and Tuvalu collection of mostly MUH stamps from 1976 to 1990 including numerous sets and miniature sheets in Hagner album, stockbook and on album pages. 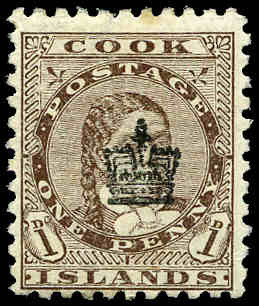 Catalogue Value approximately $1,200.00. Also Canada 1976 Olympic Games souvenir collection of MUH stamps in 2 special albums. 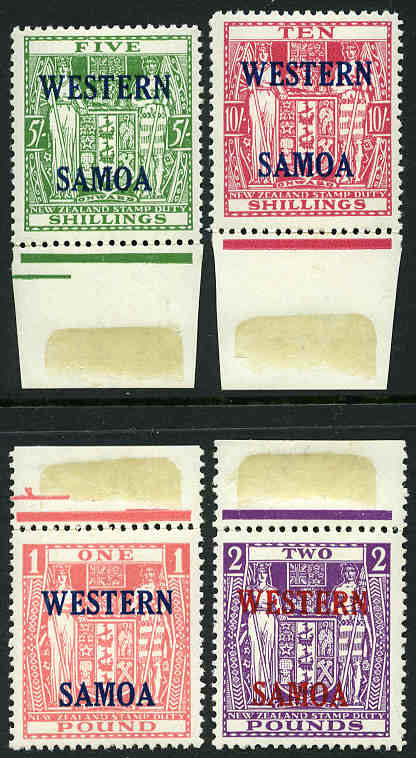 New Zealand, Tokelau Islands, Gilbert Islands, Kiribati, Fiji, Pitcairn Islands, Samoa, Tuvalu, New Caledonia and Solomon Islands collection of hundreds of MUH stamps from 1946 to 1983 on Hagner sheets including numerous sets, miniature sheets and some duplicates. High retail value. 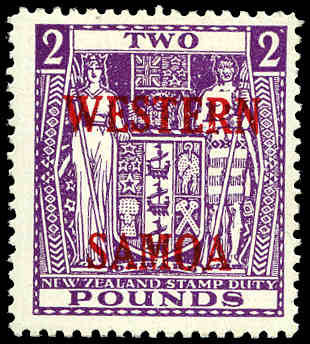 New Zealand, Fiji, Pitcairn Islands, Samoa and Solomon Islands accumulation of MUH stamps from 1967 to 2002 including numerous sets, miniature sheets and some duplicates. Main strength in 1970's and 1980's period. Face Value $1,264.00.